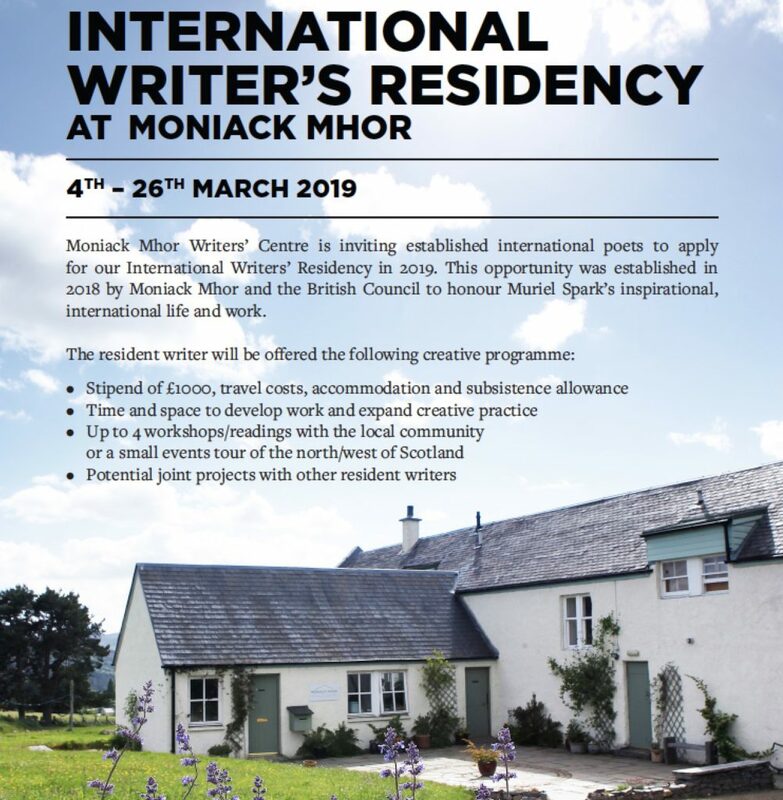 Moniack Mhor Writers’ Centre invites established international poets to apply for their International Writers’ Residency in 2019. The successful candidate will receive a month-long residency with time and space to develop their work, as well as opportunities to expand their practice. Deadline for applications is 5 PM on Sunday October 14th.